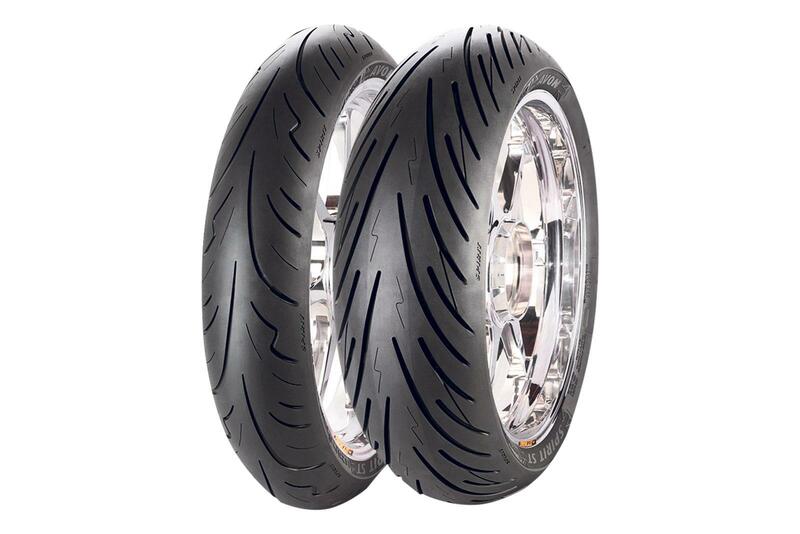 Avon’s new range-topping sports touring tyre, the Spirit ST is an evolution of the current Storm 3D X-M, which stay in the British firm’s line-up as a budget option. 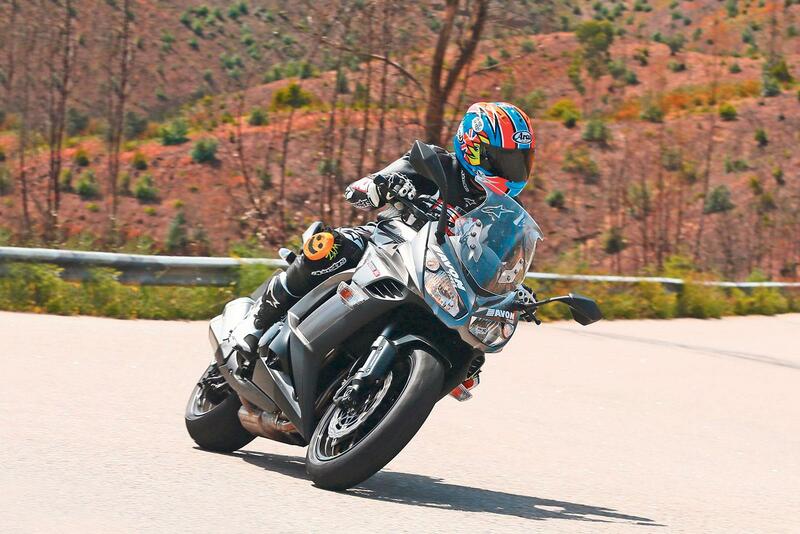 The new rubber comes in a variety of sizes to suit everything from middleweight nakeds, through to retros, sports tourers, superbikes and adventure bikes. 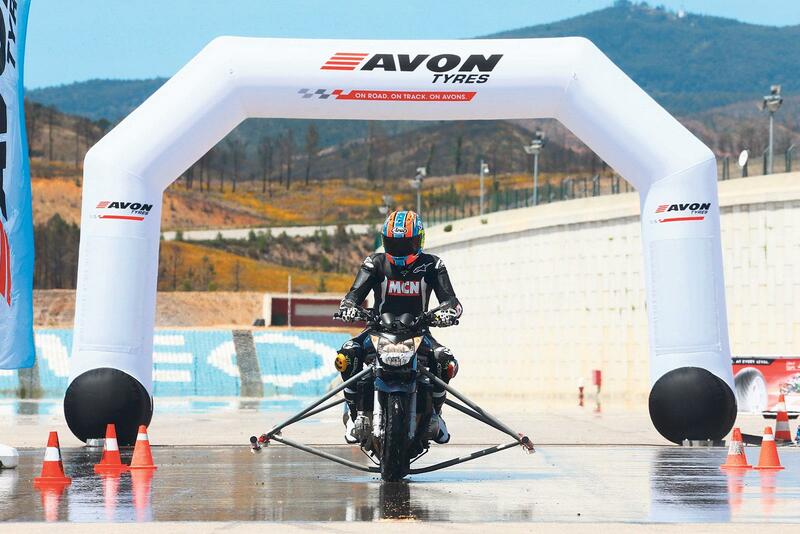 I tried the new Avons on the road on a Yamaha XSR900 and Kawasaki Z1000SX. I also tried them on a Suzuki Bandit 650, fitted with outriggers on a wet test strip, braking to a stop from 35mph in second gear. On the road the Avons were quick to warm up and were reassuring from the off. They’re light steering and take little effort to get the bike quickly from upright to full lean and back again. There’s little drama on the wet test strip, either. The Spirit STs brought the Suzuki to a halt with very little intervention from the ABS, demonstrating a high level of grip. The new Avon Spirit ST is competent on all types of bike when riding on the road and suits smaller, less powerful machines when pushed hard on the road and track. They’re not really a track tyre. At Portimao circuit in Portugal, I found it was quite easy to unstick the rear when the Spirit STs were fitted to heavier more powerful bikes like Kawasaki’s Z1000SX. The front locked under super-extreme braking too – the tyres don’t seem to like the extra weight of a bike like this. These aren’t the tyres for very fast track riding on a 1000cc bike.